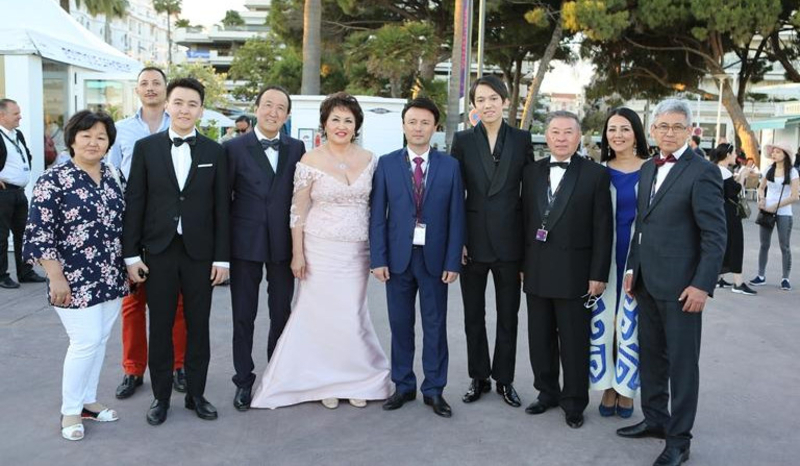 AKIPRESS.COM - Kazakhstan's national pavilion appeared in the 70th Cannes Film Festival for the first time ever, the Ministry of Culture and Sports said May 19. Presentation of the pavilion in Cannes will boost Kazakhstan's cinematography status and open up opportunities for partnership and cooperation in the film industry. Deputy Minister of Culture Askar Batalov will hold a reception at the National Center of Cinematography of France on May 19 on the occasion of the opening of Kazakhstan's national pavilion. Participants of the Cannes Film Festival, officials of the Kazakh Embassy in France, French authorities were invited to the reception. The pavilion is aimed to attract potential partners for joint projects and modernization of Kazakh film industry and tourism. The Cannes Festival, named until 2002 as the International Film Festival and known in English as the Cannes Film Festival, is an annual film festival held in Cannes, France, which previews new films of all genres, including documentaries, from all around the world. Founded in 1946, the invitation-only festival is held annually (usually in May) at the Palais des Festivals et des Congrès.